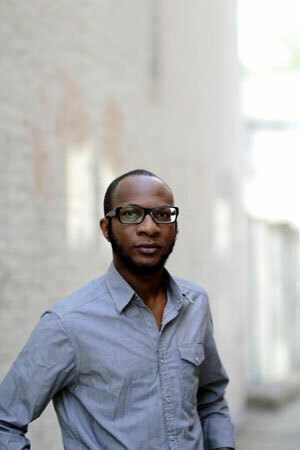 Eight Letters to a Young Writer evolved as a fictional exercise addressed by Teju Cole to an imaginary young Nigerian writer. With the encouragement of Molara Wood, the editor of the series, Cole tried to move from discussions of simple writing precepts to more complex things like voice and calling. Those pieces, first published on the now defunct NEXT Newspaper, were made available by Cole as a single downloadable PDF file. From that PDF I have gleaned 20+ tips/lessons on writing. I consider the letters one of the most important resource on the art of writing fiction that has come out of Nigeria in the last five years. And I share in Teju Cole’s aspiration that young writers in Nigeria and elsewhere find the tips useful. There are few things more resistant to tutoring than the creative arts. All artists are after that thing that resists expression. Keep it simple. There are many who use big words to mask the poverty of their ideas. A straightforward vocabulary, using mostly ordinary words, spiced every now and again with an unusual one, persuades the reader that you’re in control of your language. Remove all clichés from your writing. Spare not a single one. The cliché is an element of herd thinking, and writers should be solitary animals. We do our work always in the shadow of herd thinking. Be expansive in your descriptions. Dare to bore. Avoid adverbs. Let the nouns, adjectives and verbs carry the action of the story. When reporting speech, it is enough to say “she said” or “he said.” You must leave “he chortled,” “she muttered,” “I shouted,” and other such phrases to writers of genre fiction. Aim for a transparent style so that the story you’re telling is that much more forceful. Read more than you write. In expressing the ambition to be a writer, you are committing yourself to the community of other writers. Your originality will mean nothing unless you can understand the originality of others. What we call originality is little more than the fine blending of influences. Be ruthless in your use of what you’ve seen and what you’ve experienced. Add your imagination, so that where invention ends and reality begins is undetectable. Be courageous. Nothing human should be far from you. Characters do shocking things, not because the author wishes to shock, but because it is in the character of humans to misbehave. If you are withholding information, there should be a reason for it. The trick of it will be to give information, when you give it, in a way that feels organic. Continue to fail better—failure of a kind that might even be better than certain forms of success. One of the things that matters most is voice. Great writers know all about it, and ordinary writers ignore it. What all great works have in common is that the voicing is secure. There is evidence, throughout, that how the tale is being told is precisely how the author wishes it to be told. Try to better bind the reader to life. Place at the heart of a story a voice that is neither so vague that it applies to everyone, nor so eccentric that none can relate to it. What I try to do in my work is to find out how the gestures of various arts can be smuggled beyond their native borders, music that exceeds music, painting that exceeds painting. Look at your environment as though you were a child, or a foreigner, or an alien from another planet. But to see what is happening, you need to reform your eyes. Your writing talent should consist of making the ordinary interesting. In a field of unexceptional events, zoom in on the pungent detail. Your sensibilities have to be retrained so that they catch what others miss. Keep an inner fire; keep it on your own behalf and on behalf of so many people who are suffering because of the system. This is quite helpful, especially the side that emphasizes the abuse of adverbs. Many a young writer falls prey to it.